A road race in Mark Charbonnier’s honor will make a one-time comeback on Sunday to commemorate the 25th anniversary of his death. 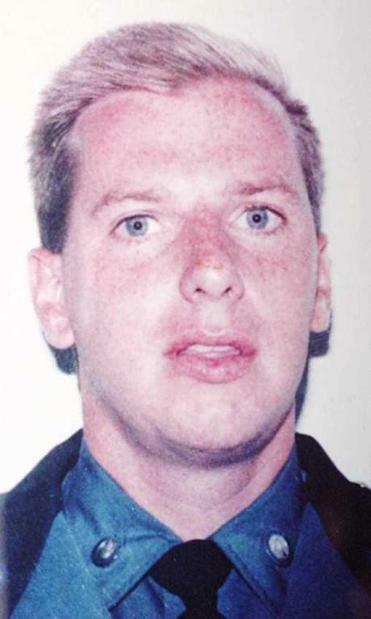 Charbonnier was gunned down in 1994 during a traffic stop on Route 3 in Kingston. From 1995 to 2004, thousands of runners and walkers gathered in Dorchester to remember Mark Charbonnier, a Massachusetts state trooper who was gunned down in 1994 during a traffic stop on Route 3 in Kingston. The well-known Charbo’s Run will make a one-time comeback on Sunday to commemorate the 25th anniversary of his death. 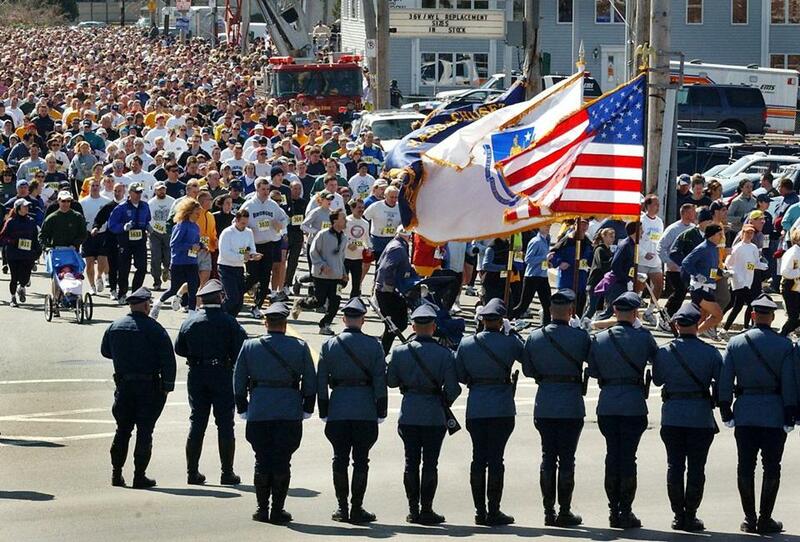 The 5-miler became one of the largest charity runs in Massachusetts, and one of the largest law enforcement road races in the country, according to organizers. Making its debut with 2,000 participants, the event drew as many as 8,000 runners and raised about $50,000 annually for scholarships and charities under the Trooper Mark Charbonnier Scholarship Fund. The next generation is the driving force behind bringing back Charbo’s Run, said Mark’s younger brother Steve, who is spearheading the event. He said the run will also pay tribute to the law enforcement community, including two police officers killed more recently in the line of duty, Yarmouth police Sergeant Sean Gannon and Weymouth police Sergeant Michael Chesna. The Charbonniers grew up in Dorchester. Mark, the third youngest of six, had been a state trooper for six years when he was fatally shot on Sept. 2, 1994. The 31-year-old trooper had been married for about a year. David Clark, who had been paroled after serving six years in prison for his role in a 1983 beating death, was found guilty of first-degree murder and sentenced to life in prison without possibility of parole. The first run was organized by Mark Charbonnier’s family, friends, the law enforcement community, and fellow classmates from the New England School of Law, where he had been a student. After a decade, the tradition was put aside. Family and friends began planning the comeback run two years ago. Mark’s widow, Ann Marie Wilson, will be helping at the event, which takes place one day before what would have been Mark’s 56th birthday. To date, more than 1,200 runners have signed up, his brother said. Most of the original sponsors are back, he said, along with some new ones like the Martin Richard Foundation and Wahlburgers. Top sponsors include Eversource, Massachusetts Biotechnology Council, and the State Police Association of Massachusetts. With an 11 a.m. start, the run mirrors the original course, beginning and ending on Hallett Street at Florian Hall in Dorchester, traversing through the streets of Dorchester and Milton. Walkers will start and finish with the runners, but their course is only 3 miles to minimize road closures. A free children’s run will take place at 10 a.m. on the Neponset Trail loop in the nearby Pope John Paul II Park. Refreshments will be served immediately following the run and walk, and a celebration will continue in Florian Hall throughout the afternoon. Participants can register online at runsignup.com/Race/MA/Dorchester/CharboRun and at the event. Early bib pickup is March 23, 8 a.m. to noon at Heritage Hall on Granite Avenue in Milton. Christie Coombs can be reached at mccoombs@comcast.net.